Lately, it seems like everyone’s talking about using live video. Yet, while just turning on your smartphone camera and shooting video can seem simple; it doesn’t include the path to success to using video for your business. But in the hands of a skilled expert (she hates me using that word, but she really is!) you can learn how to use Facebook live so it becomes a winning strategy for you to connect with your customers and grow your business – the key is knowing how and when to use it. 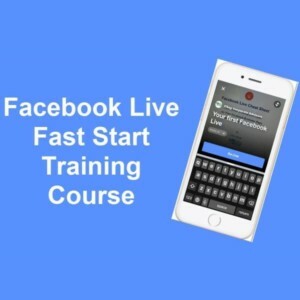 That’s why I wanted to let you know about Facebook Live Fast Start, a course led by my friend and colleague Lisa Kanda. Over the course of four weeks, you’ll get step-by-step exercises to help you master each technique and gain confidence to begin using these powerful practices with your clients. 4 Bonuses to take using Facebook Live to the next level. As a Jersey Shore Woman reader, you will receive a special coupon for $100 off the course fee. Use coupon code SAVE100 to save $100! P.S. There is also a 2 payment offer if that fits your budget, but the coupon is only valid for the one payment offer. For more information about the in-depth course, and a video about the top 10 mistakes businesses make using Facebook live, click here. To view the course outline, click here.